Following their win at the GLAAD awards, Beyonce and Jay-Z walked away as winners again during the 50th NAACP Image Awards at the Dolby Theatre yesterday evening(March 30th) in Hollywood, California. They don't do red carpet anymore so of course Bey posted their look to instagram. 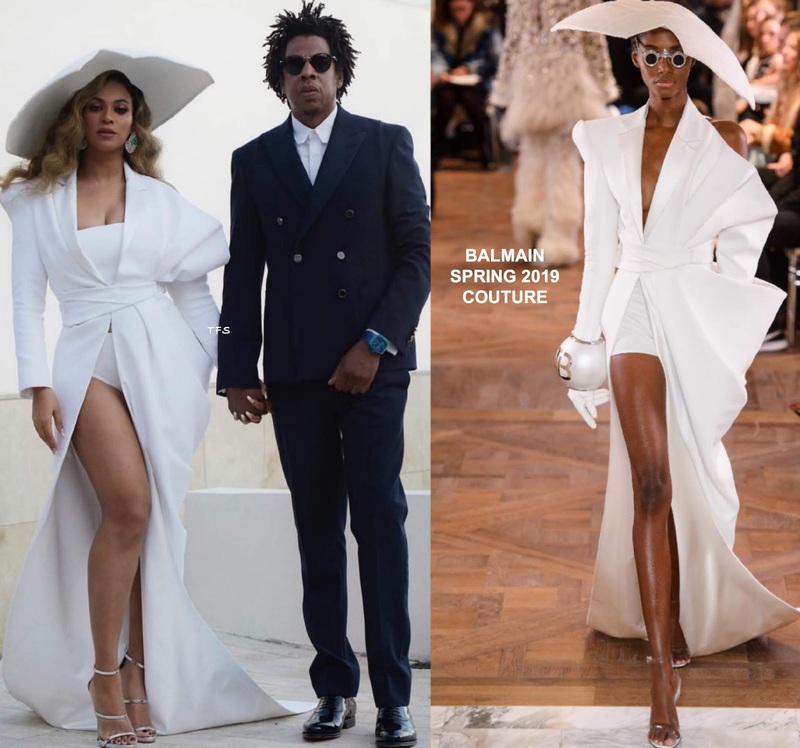 Beyonce worked the split on her BALMAIN SPRING 2019 COUTURE dress. She also wore the matching hat from the runway. For me, I actually prefer the runway version as I like the dress without a top underneath the bodice and the volume & pleating works so much better. Bey ditched the shorts for briefs but she seemingly looked a tad uncomfortable on stage, as she kept pulling on the dress to close the split. Jay-Z wore a navy double suit from the LOUIS VUITTON collection. However once again, those pants needed to be hemmed. An ALEX TODD watch which took 3000 hours to make, rounded out his look.